Jonathan joined Hatchers in September 2018 having specialised in Private Client work since 2007. He previously worked in the Civil Service, Local Government and in Financial Services. He has a Level 6 Professional Higher Diploma in Law and Practice, and qualified as a Chartered Legal Executive in January 2015 while working as part of a large Department at a leading Shropshire firm. Most recently he has enjoyed working in Wolverhampton at a Legal 500 firm. However, the prospect of joining the growing team at Hatchers in his own town of Shrewsbury was too good an opportunity to refuse! 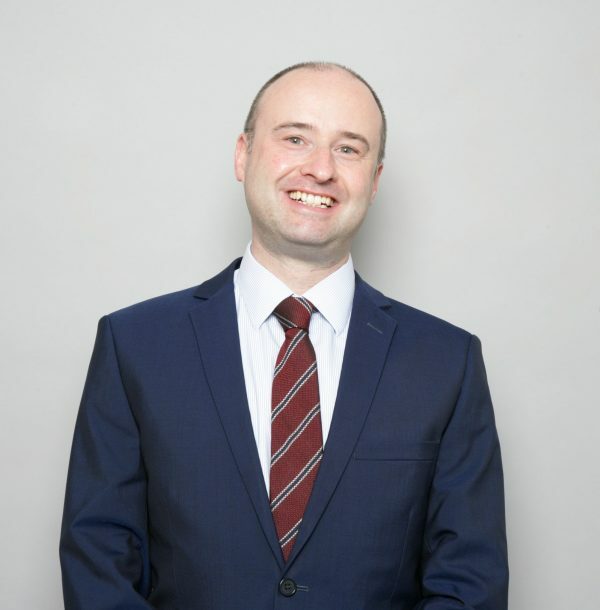 Jonathan specialises in the areas of wills, Lasting Powers of Attorney, Registration of Enduring Powers of Attorney, the broad range of estate work from obtaining Grants of Representation to administering entire estates and making applications to the Court of Protection. Jonathan became an Affiliate Member of the highly regarded Society of Trust and Estate Practitioners (STEP) in January 2019. He will be undertaking further examinations and his ambition is to qualify as a full Trusts and Estates Practitioner (TEP) in the longer term. Always tailoring his service and advice to each individual, Jonathan is happy to meet with his clients in the office. Where needed, he does so at their home address or in hospitals and care homes. Jonathan aims to provide a pragmatic and compassionate approach and enjoys working with new clients as well as assisting those who have returned to him for further advice over the years. Jonathan lives in Shrewsbury with his wife (a former Legal Secretary) and his teenage son. His family have strong roots in Shropshire over several generations. In his spare time, Jonathan is a keen student of history and a frequent visitor to National Trust properties around England and Wales – where he enjoys a walk in the countryside together with the occasional cream tea! Achieving Chartered status from the Chartered Institute of Legal Executives after giving up so many evenings and weekend to study while working full time.